The speciality of our Fashion designing course dvd and Stitching classes is that dvd is animated and explained in tamil tailoring class in cd . This is the first dvd to explain tailoring in tamil . 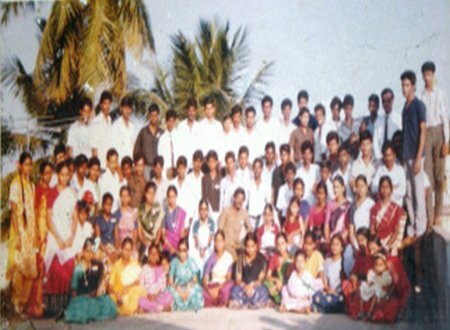 Fashion designing course(tamil tailoring )dvd there are some sample videos. And video also contain method of stitching classes how to cut front and back facing for kameez. Also we provide method of stitching classes how to cut sleeve for the dress.Finally in our fashion designing course (tamil tailoring) dvd and stitching classes video we also show the lay practice how to cut the materials to stitch the dress. Fashion designing course (tamil tailoring) dvd along with the stitching classes are now in sale original cost of the DVD is Rs:1500/-. But the offer price is Rs:750/-. Jabala stitching classes, Childrens paijama stitching classes, Salwar stitching classes, Churidar stitching classes, Gathering stitching classes, Kameez(children) stitching classes. Kameez stitching classes, Kameez broad bottom stitching classes. The total duration of the fashion designing course( tamil tailoring) and stitching classes dvd is totaly 8 hours of duration. And you will be given 2 dvd of fashion designing course and stitching classes each dvd runs for 4 hours. And if you take practice of our fashion designing course (tamil tailoring ) dvd and stitching classes for two hours a day , you can complete the fashion designing course and stitiching classes in about 4 months and if you take practice of our fashion designing course dvd and stitching classes dvd for 4 hours a day you can complete the course in 2 months. We assure that if you exactly the procedures as said in the fashion designing course( tamil tailoring) dvd and stitching classes .we are sure that you can individually cut a pattern of dress and stitch it. You can also transfer fund via Internet to our bank accounts. 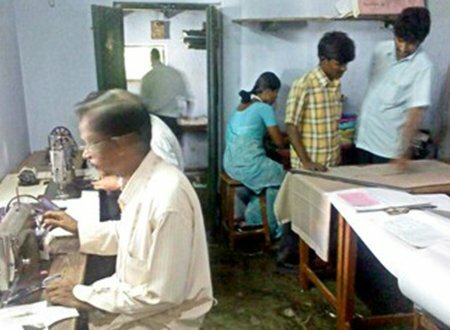 Annai Bharath Our Tailoring institute in chennai is a premier organisation providing tailoring classes in Chennai in the fields of tailoring, fashion designing courses, garment making and embroidery classes. HEAD OFFICE No.74, N.M.Road,Avadi (Near Ramaratna Theatre)Chennai - 600054.